– Fiji Link Referees (all referees in Fiji will be sponsored by and will wear Fiji Link branded apparel). The announcement was made by the President of the Fiji Rugby Union and Prime Minister Ratu Josaia Voreqe Bainimarama at the function at the Grand Pacific Hotel in Suva this evening. The Sponsorship Agreement reached between the two parties is likely to be one of the biggest sports sponsorship not only in Fiji but in the South Pacific. In announcing the landmark sponsorship, FRU President Voreqe Bainimarama said that tonight is a historic occasion for the Fiji Rugby Union, Fiji Airways and for our country. airline carrier. Every official, coach, and player will now “Fly like a Fijian,” both on the field and in the air. pairing with a global brand like Fiji Airways. the journey has been tough and challenging at times, it is humbling to be here tonight to witness how far we have come in a short period of time”. He acknowledged and thanked the Chairman and the Board Directors for their commitment and steadfastness on their vision to transform Rugby Union in Fiji and progress it from Amateurism to professionalism. He thanked the Consortium of Sponsors led by Vodafone Fiji Ltd and including Fiji Airways, HFC, CJ Patel and TFL for supporting the FRU in their time of need. Fiji Airways Managing Director and CEO Andre Viljoen said at the launch that over the past week they have had to field many calls asking where Fiji Airways was flying to next on Flight FJ 679. He added that Fiji Airways is proud to partner with the Fiji Rugby Union for the next 5 years. 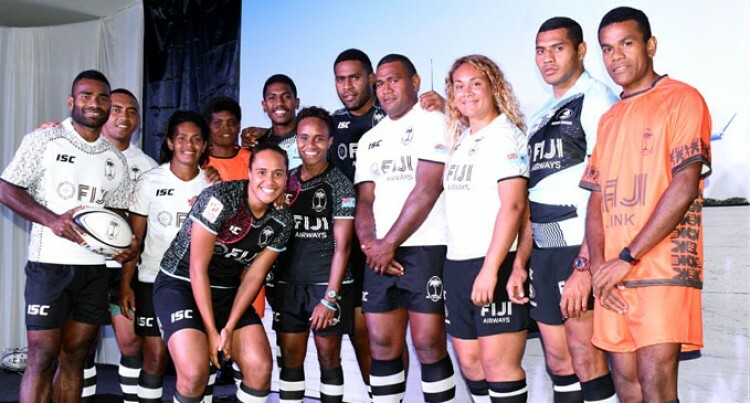 The sponsorship will be for a term of five years, and will commence immediately with the Fiji Airways International Teams, to play in their new jerseys for the first time when the Fiji Airways Flying Fijians take on Italy on the 18th of November 2017 and the Fiji Airways Fiji 7s Men’s and Fijiana team play in the Oceania 7s on November 10th.